Dr. Aviva shares how to heal your thyroid by getting out of Adrenal Survival Mode. It’s dark and it’s late. You’re coming out of a club in the city heading back to your car, which is parked on a poorly lit side street. About 50 yards from your car door, you notice a man crossing the street toward you. Nobody is on the street. Your heart is racing, and your muscles tighten. You are on red alert. Should you run? Prepare to fight? Your keys are already in your hand – you could use them to defend yourself. Your fingers clench so tightly around the keys that you feel them digging into your palm. You recognize this feeling. It’s terror. Your shoulders drop, your breathing relaxes after a huge exhale accompanied by a nervous and relieved chuckle. You release the grip on those keys clenched in your hand. You’re safe. This man never was an actual threat to you. But your nervous system’s fight or flight response, the primitive survival mechanisms that start in your brain and quickly extend into your entire hormonal system through the hypothalamic-pituitary-adrenal axis (simply say HPA axis and you’ll still sound wicked smart!) didn’t know this. Your brain is so exquisitely tuned to protecting you that it just responds to your perception of danger and there you go – fasten your seat belt because you’re going on a stress-hormone ride! This HPA axis is incredibly effective at mobilizing the energy you do need to run – or fight. Sugar is pumped into your bloodstream in rapid fire. Your body even breaks down fat and muscle to create extra sugar in case it’s needed. Insulin is pumped out to regulate the sugar. Your blood vessels constrict, causing your blood pressure to go up. Your body directs energy away from any functions that aren’t needed in the face of danger – like digestion and reproduction, affecting your gut and your hormone balance. When the danger is done, your body is designed to quickly recover without any lasting damage. The extra blood sugar gets swept up into your cells by the insulin, your blood vessels relax, and blood flow returns to your gut and reproductive hormones once again get released in normal amounts. All of the numerous changes caused by the activation of the HPA axis return to normal. Thankfully, most of us do not find ourselves on dark roads thinking we’re being followed too often. However, most of us do experience more minor levels of stress on a day-to-day basis that keep us in survival mode. And if we’ve had past trauma of any magnitude, even relatively small, we are more primed to perceive situations as threatening. These are all real stressors that activate the HPA axis – and are even more activating if you’ve been fired from a job, experienced a relationship trauma as a child or adult, been exposed to vulnerability due to severe financial stress, or any other stressful past trauma, or perceived potential disaster, because then your perception of each incident as a possible threatening trigger is even higher. For this blog, I want to emphasize the connection between being stuck in survival mode, and its effect on thyroid function, and offer you tools to heal both. Your thyroid gland, the butterfly shaped small organ at the front of your neck, performs literally hundreds, if not thousands, of essential functions related to growth, metabolism, hormonal control, and utilizing and conserving energy depending on what your body needs moment to moment. Your adrenal glands, two tiny triangular glands (I mean you blinked you missed them small!) sitting atop your kidneys, control the hormones and nervous system chemicals that regulate your stress response, immunity, blood pressure, your reproductive hormones, and much more. When you are under prolonged chronic stress your adrenal system tells your body to conserve, rather than spend too much energy. Your thyroid slows down, too. It’s like a warning system that protects you from over-drafting on your energy bank account. Further, chronic adrenal stress has a major impact on your immunity – over time increasing your risk of developing chronic inflammation and autoimmunity. These are the two primary gateways that lead from the chronic overdrive of your survival mechanisms – your adrenal function – leading to Hashimoto’s thyroiditis, or autoimmune hypothyroidism which is responsible for about 90% of all thyroid dysfunction in the US. When you are under stress, immune system chemicals called inflammatory cytokines (which have names like IL-1 beta, IL-6 and TNF-alpha) are released. 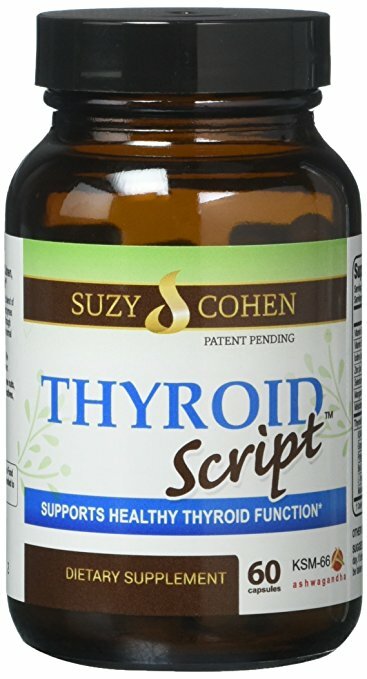 These “down regulate” (medical speak for decrease) the production of the key thyroid related hormones TSH, T3, and T4, make the thyroid less sensitive to TSH which stimulates the function of thyroid hormone production, and decreases the conversion of the inactive form of the thyroid hormone T4 to the active form, Free T 3. Acute stress can do this for days; chronic stress can make this a more regular state and in time, lead to thyroid suppression – or hypothyroidism. Chronic inflammation also makes the thyroid hormone receptors on your cells less sensitive to the active form of thyroid hormone, such that thyroid hormone can’t do its job. This is called thyroid hormone resistance. Remember how I also said that chronic stress diverts energy away from important functions like your gut and your reproductive hormones? These can also have an impact on your thyroid function. When you are under stress, blood flow gets directed away from the lining of your gut, and also, the chemical environment of stress has a direct impact on your gut flora leading to overgrowth of the more harmful species at the expense of the good guys. Both of these gut changes can lead to a condition called leaky gut which makes you more susceptible to all manner of food triggers and harmful gut bug triggers from gluten to dairy to numerous other foods, and to developing a condition called “endotoxemia,” all of which in turn can lead to inflammation in your body significant enough to ultimately lead to autoimmune conditions. Cutting out food triggers as part of reducing the stress your body is under is an important part of healing the adrenal-thyroid connection. An elimination diet and 4R program can help you to identify food triggers, heal your gut lining, and improve your gut flora. Hashimoto’s thyroiditis is the most common autoimmune disease in the US, affecting far more women than men, and rates are on the increase along with our stress levels! It’s also a vicious cycle, because the more our body perceives stress due to inflammation, the more the stress response system gets triggered. We pump out more cortisol, one of our key stress and inflammation protection hormones, which in turn causes us to gain more weight, break down muscle for fuel, and store extra fuel as harmful forms of cholesterol. Cortisol reduces our ability to clear estrogen from our system through our liver. Increased estrogen up regulates (medical speak for increases) the production of a carrier protein called thyroid binding globulin (TBG) which does exactly what it sounds like – binds onto thyroid hormone. 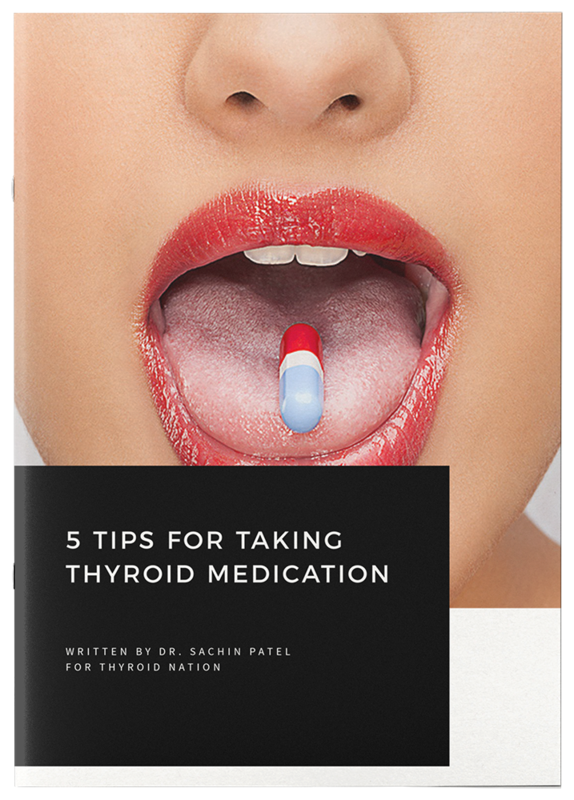 Bound forms of thyroid hormone are not very active – so your thyroid function goes down even when your thyroid is pumping out the stuff like it’s supposed to. The active free form just doesn’t get to your cells where it’s supposed to do its good work. The problem gets even more complex, because it’s part of the role of the thyroid to metabolize cholesterol – so not only is your overworked or now exhausted adrenal stress system causing you to produce more cholesterol, inefficient thyroid functioning is preventing you from using it up. BOING: you end up with high cholesterol even if your diet seems pristine! Not to mention, you’ve either got the symptoms of hypothyroidism: fatigue, weight gain, dry skin, constipation, thinning hair, irregular hormone function and menstrual or gynecologic problems, and more, or you’ve actually developed Hashimoto’s! Become familiar with your signs of stress response, or “being stuck in survival mode.” Once you learn to recognize them, you can learn to respond quickly with a relaxation response, rather than react with a prolonged stress response. See # 3 below for relaxation response techniques. Identify those areas of your life that need attention so that you can get out of survival mode and into a life that you love living. This might mean saying no to some things you’ve taken on, rethinking how you approach your work:life ratio, take more time for self care so you can have the resilience to cope with what’s on your plate, rethink your economics to want less of what you don’t really need and earn more so you can have what you do need, reaching out to friends (oxytocin, the love hormone gets released when we connect with peeps we love, and this is a counterbalancing hormone to the stress system). Develop a regular “stress decompression” practice. We all need tools for on the spot stress reduction, and also regular self-care habits that keep our nervous system well fueled for meeting life’s invetiable stresses. My favorite exercise for traffic jams, the sudden urge to quit your job or throw something at your boss is called “the quickie.” Here’s how to do it: Center yourself wherever you are, sitting or standing or lying down, feeling the parts of your body touching the ground…just feel that grounding with the earth. Breathe naturally at first, then after a few breaths, inhale for 4 counts while saying I am in your mind. Then exhale for 4 counts while saying at peace to yourself. Repeat this I am…at peace cycle at least 4 times. Keep your blood sugar balanced. You’re feeling shaky, in a hot or cold sweat, and losing your concentration. Maybe you’re a little nauseated or even faint. You realize you haven’t eating since this morning and it’s already mid-afternoon. Ok you’ve eaten at little bit, but just coffee and a Danish – not real food! Most of us gals know the feeling – we’ve been there at one time or another. The blood sugar crash, or “food emergency,” is super common – and it takes a major toll on the adrenal stress system. You see, your brain is DEPENDENT on a steady supply of sugar to keep it happily humming. Low blood sugar is a brain emergency of the highest magnitude. So you’ve got to’ feed your head. Regularly. With protein, good quality fats, and carbs from whole grains and veggies. My top tips for keeping your blood sugar steady are: eat protein at breakfast, don’t skip meals, graze on high protein snacks if your blood sugar tends to tank, and keep a healthy emergency food stash within reach. You can read more here. Use adaptogens to support your adrenal stress response and cool down your immune-inflammatory reactions. Adaptogens are a special class of herbal medicines that have been used in Traditional Chinese and Ayurvedic medicines for centuries to promote a sense of well being. In those systems, these herbs are considered the “Kings” and “Queens” of herbal medicines for restoring health, vitality, immunity, stamina, and promoting longevity. The term adaptogen refers to the unique ability of these herbs to help you adapt to the stress in your life. They do this by “normalizing” or “regulating” the adrenal stress response. Adaptogens help your body to cope more effectively with the demands of everyday life. They provide a sustained sense of calm, and while they increase energy, with the exception of Chinese ginseng, they are non-stimulating. In addition to their effects on stress adaptation, adaptogens have profound antioxidant and anti-inflammatory effects that protect your cells from damage from a variety of chemical exposures. Also, one of the definitions of adaptogens is that they are non-toxic, even with long-term use. You can rely on these herbs to be safe and gentle. My “Top Five” are Tupac, Nas, Lauren Hill…I mean, Holy Basil, Ashwagandha, Rhodiola, American Ginseng, and Reishi. Click here to read more about these herbs and their specific benefits. Taking care of your stress system will help quiet down your inflammatory responses, allowing your thyroid to more effectively produce thyroid hormones and revert Hashimoto’s antibodies (I’ve seen this happen many times! ), and allow your cells to convert and use those thyroid hormones. In the process, you’ll find yourself more energetic, resting better, losing those love handles you just don’t love and couldn’t get a handle on, your cravings will fade, and life will seem so much easier! 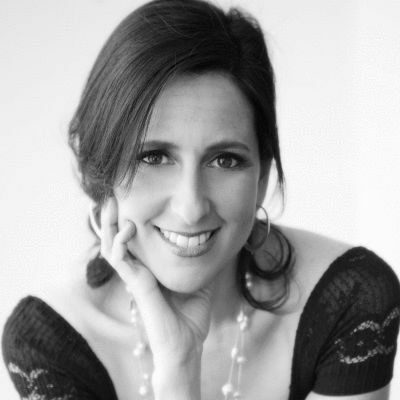 Dr. Aviva Romm is the mother of four grown children, a Yale-trained physician specializing in integrative medicine for women and children, a midwife, anherbalist, an award-winning author, and the creator/owner of WomanWise, on-line courses dedicated to vitality and optimal health for women and children. An internationally respected expert in botanical and integrative medicine for women and children, she has spent nearly 30 years as a health care practitioner and advocate for the health and environmental concerns of women and kids. She is the author of 7 books on natural medicine for women and children including Botanical Medicine for Women’s Health. Aviva was one of the first pioneers in natural birth and botanical medicine for gynecology, obstetrics, and pediatrics in the United States. 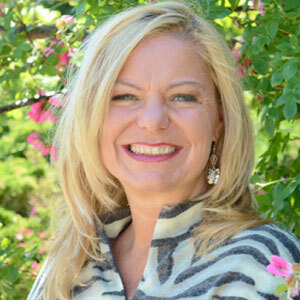 She is also sought out as a botanical medicine industry consultant, medical journal editor and contributor, is the Medical Director of and a frequent contributor to The American Herbal Pharmacopoeia, and has contributed to several important integrative medicine textbooks including Integrative Medicine: Principles for Practice (Kligler and Lee). Follow her on Facebook, Twitter and Youtube. 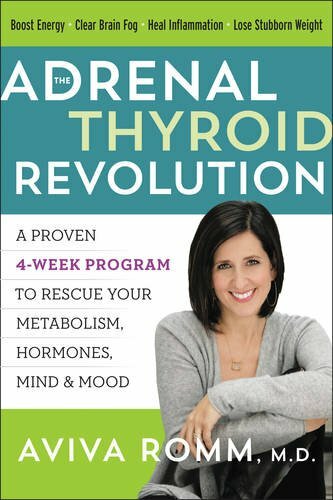 Check out Aviva’s NEWEST best-seller, The Adrenal Thyroid Revolution. Questions or anything to add about adrenal fatigue and your thyroid? We want your thoughts in the comments section–Please! Very interesting and informative. I can see myself in a lot of this. I pleased to know why my attempts at trying to shift weight are failing and maybe armed with this new infromation, I’ll be able to succeed.